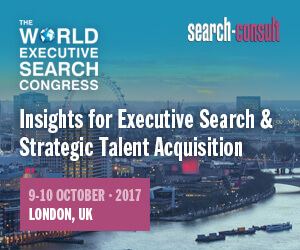 Looking for Executive Search technology? Five key questions to ask! Every year, hundreds of retained executive search firms make technology purchasing decisions. Many of them go on to implement systems which will provide years of value and benefit – but, sadly, others make expensive decisions that they will go on to regret. There is no one system which is best for every firm. 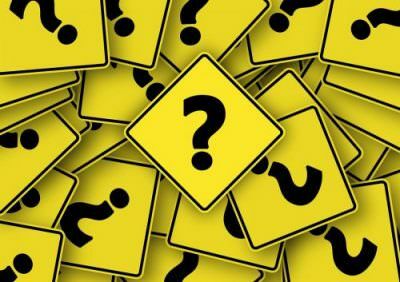 However, there are five key questions that every buyer should ask themselves – and the vendors – prior to selecting an executive search software solution. Question 1: From where do I need to access my business information? Think about your users and where they work. Your office may well be PC-based, but do you wish to facilitate home working? If so, what is your view on installing your software on home machines – is browser-based access a better solution in these scenarios, even if Windows software is acceptable on office machines? What about mobile access? What devices do you and your users have? What devices might your future users have? Can your chosen platform support these tools? Don’t select a system that will constrain your ability to work! Question 2: What are my sources of business information? Question 3: Reporting is one of the most time-consuming tasks for many firms. How can the system help? Question 4: Can the system enhance my relationships with clients? Reports are a pain. For many firms though, they are becoming less and less important because of the rise of the Client Portal. Client Portal allow you to provide “report type” information via a secure website, 24×7. The best ones are slick, secure and fully under your control. Your clients may not be interested in this service – yet – but it’s worth ensuring that your vendor is able to provide this functionality in case circumstances change! Question 5: What level of service and support can I expect? If you are starting from scratch with an empty database, your “implementation” may take a matter of hours. If you are working with legacy data, your project may take several months. Either way, you need to be comfortable that the vendor will support you throughout the process and beyond. It’s always worth asking for references but, in reality, references are not always typical of the client experience – the sales consultant is unlikely to introduce you to an unhappy client! A good tip is to seek out the testimonials page on the vendor website – ours is here – and see if you can find a company you know. Testimonials show that the primary contact is happy with the vendor, but if you know other people in the firm – the users – you can often get a better understanding of how the users feel about a product. Also take a look at the commercial strength of the vendors – the recruitment software market is turbulent at the best of times, and political changes in the US and Europe will have an impact – here’s a blog on that topic. Your selection of an executive search management system is a key decision for your firm. It’s worth taking the time to ensure that the product meets your needs – don’t be afraid to challenge your sales consultant and ensure that they are able to validate any claims they might make! To schedule an informal chat, email info@dillistone.com or fill in the demo request form today!